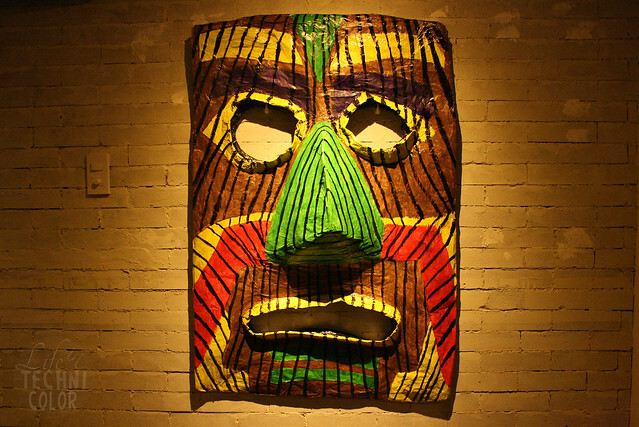 Welcome to Papa Loa - where Modern Asian meets Tiki Bar. 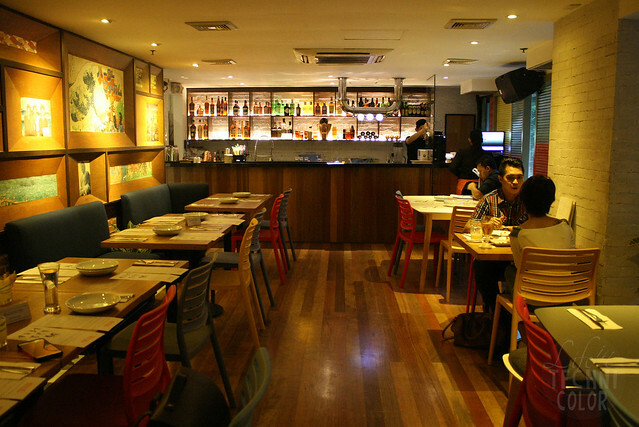 Last week, I was invited to a private food tasting at Papa Loa located in Bonifacio Global City. I rely heavily on Waze whenever I'm in the area, so when the app told me that I have arrived at my destination, I was confused. Before me stood a Japanese-looking restaurant, so I thought, hey, this can't be right. So after walking around a bit, I decided to ask one of the guards, and turns out, Waze was right all along! As you can see, they were still working on the glass sign when I arrived, hence the confusion. But apparently, the words hanging from the kitchen stands for papparoa in Japanese. It makes so much sense now! Here's the man of the hour, Filipino-Australian Chef Iñigo Castillo. Born in Bacolod to Spanish-Filipino parents and partly raised in Manila, Iñigo’s childhood was influenced by a mix of Western and Asian values. This also meant exposure to various cuisines at an early age, which coupled with watching his grandmother in the kitchen, sparked an interest in cooking. Under the tutelage of Chef David Pardo de Ayala at Soleil, Iñigo learned the value of hard work and honesty in food. This was evident in the way he later ran his catering company in Manila as Chef de Cuisine and owner. 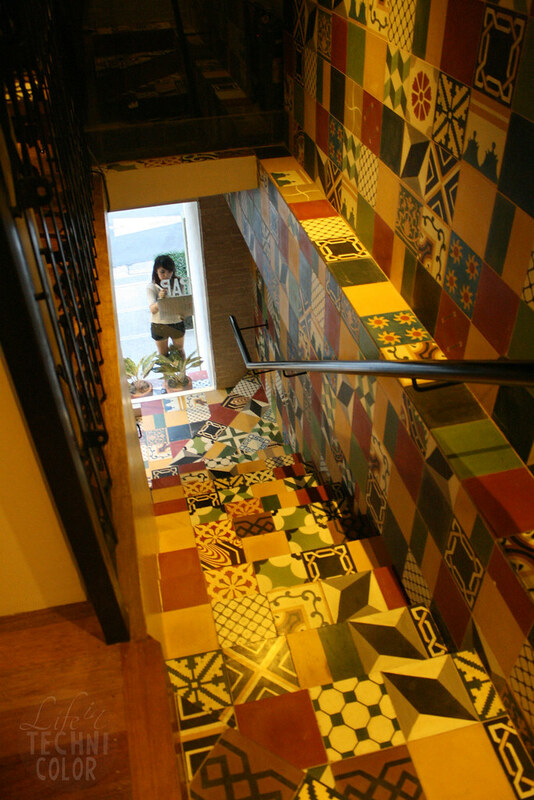 Though business was doing well, Iñigo was inspired to make something more of himself. 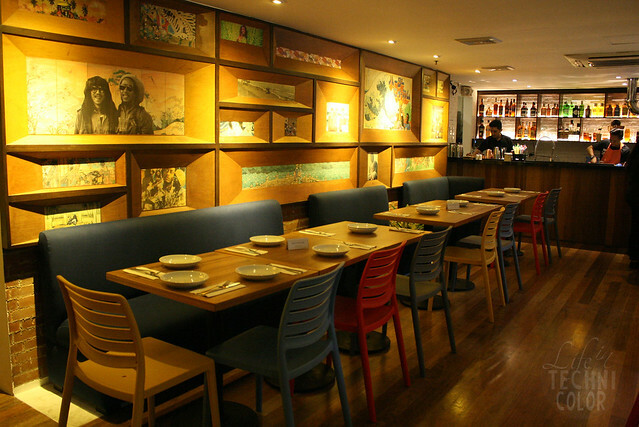 For almost a decade, Chef Iñigo resided in Australia. He worked as a chef in various restaurants in Sydney, then eventually opened his own catering company and was on-site caterer for the café and functions at Cammeray Golf Club in the lower North Shore of Sydney. 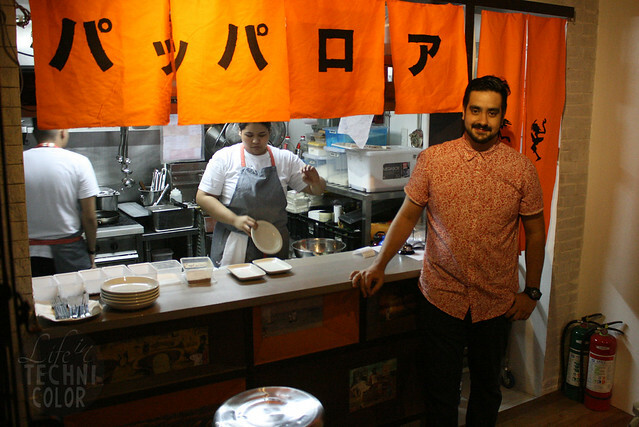 Through a spin-off called PILYO, he started advocating for Modern Filipino cuisine and garnered attention from not only the Filipino community and press but from Australians as well. 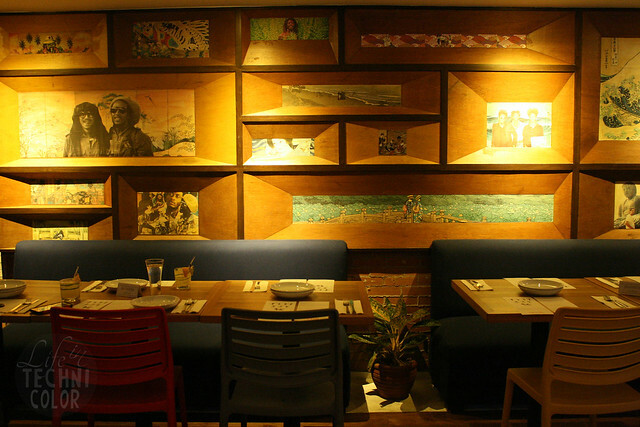 Ten years later, he's back in Manila with a new restaurant! Papa Loa has that tropical vibe with Asian influences and Japanese undertones. 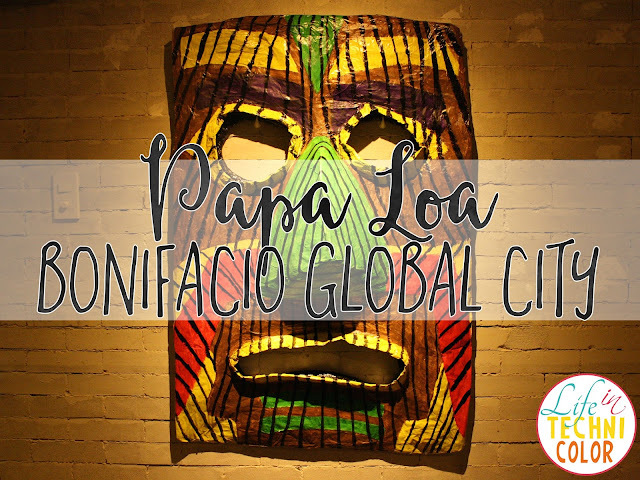 According to Chef Iñigo, Papa means "father," and Loa means "spirit." In Haitian voodoo, the name Papa Loa serves as the intermediary between our world and the spirit world. So here, we drink the "spirits" that Papa Loa offers (alcohol), and basically just have fun. So how does one start the night at Papa Loa? With drinks! 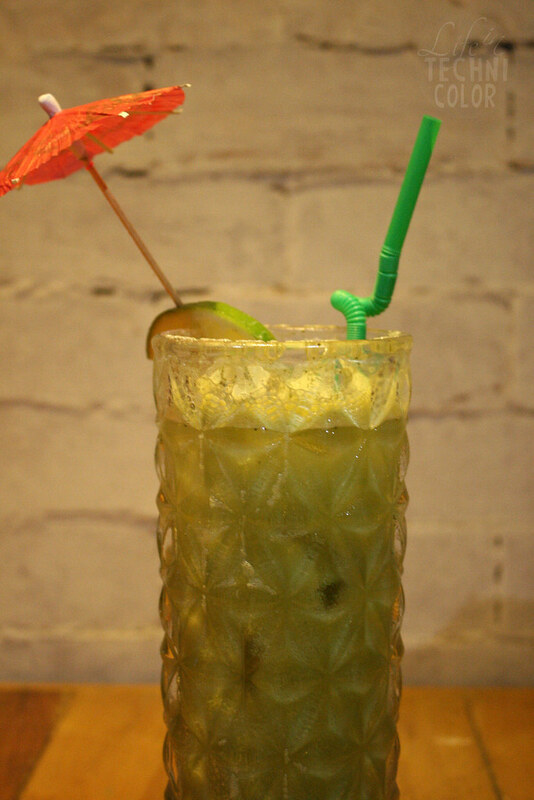 The Little Grass Skirt is made with Tito's gluten-free vodka, apple cider, sesame oil, orange, and cucumber. At first, I was really excited with the idea of consuming something that contains sesame oil, but as the night went on, the cocktail became more difficult to swallow, for some reason. It's not same burning sensation one gets when drinking vodka though, it's much stronger. 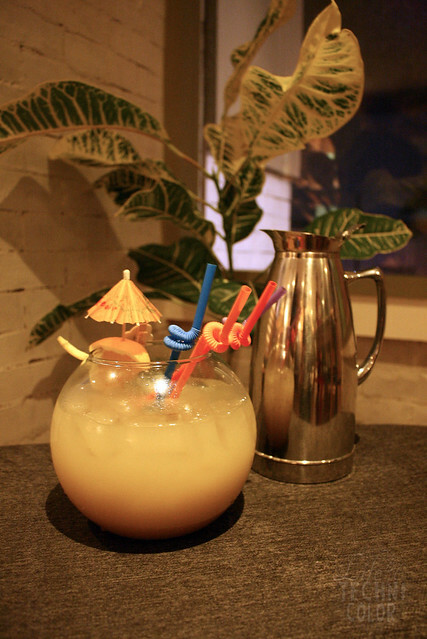 The Woozy Waters Bowl, on the other hand, is a strong and tropical drink made with Captain Morgan spiced rum, Havana rum, Jack Daniels, fresh lime and Giffard Orgeat. I didn't feel like I was drinking alcohol because it's sweet, but that's exactly the kind of drink that will betray you at the end of the night, so don't drink too much! 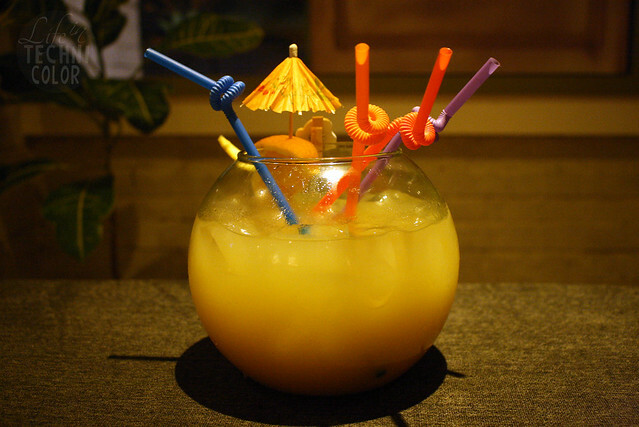 Remember, the Woozy Waters Bowl is meant to be shared. Poke is a raw fish salad served as an appetizer in Hawaiian cuisine. 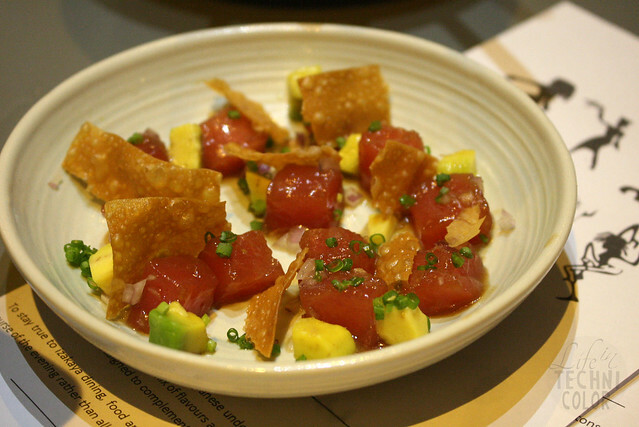 For Papa Loa, it's a combination tuna, sesame dressing, avocado, chili, and crispy wontons. I've noticed that more and more restaurants are serving this dish. I'm not complaining though. Honestly, I love it. A plate of different textures. 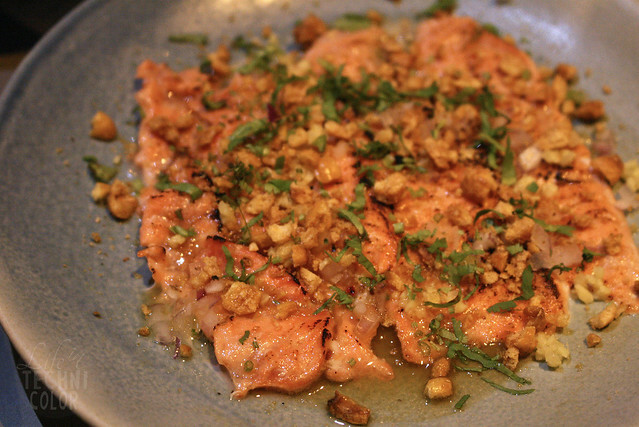 The Aburi contains torched salmon ceviche, aromatics, crispy corn, coriander, and coconut dressing. For the Poke and Aburi, I found the quantity to be underwhelming. Good thing they later explained that their menu is really comprised of small plates that highlight a mix of flavors and techniques. 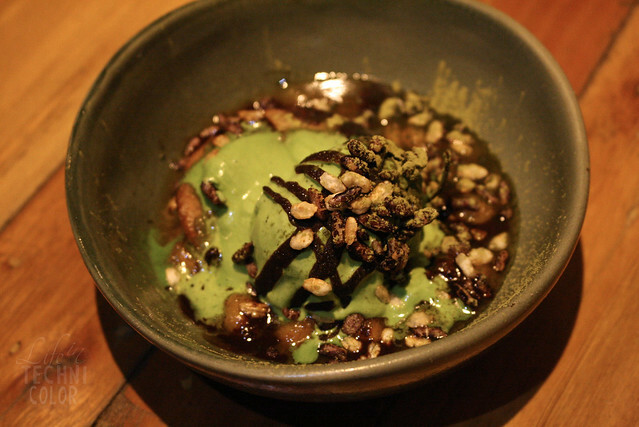 Here at Papa Loa, they recommend ordering food and drinks throughout the course of the evening rather than all at once to stay true to izakaya dining. 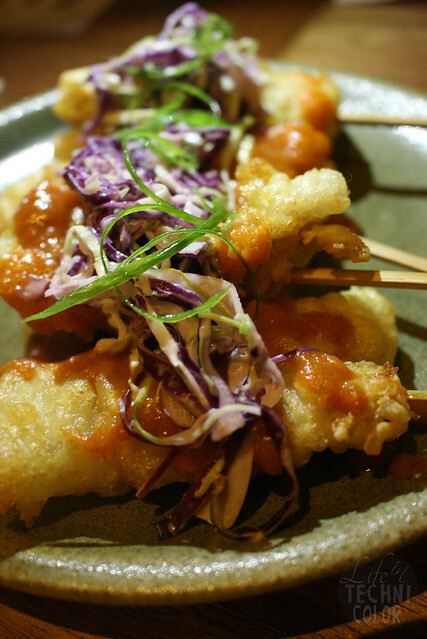 The Eggplant Skewer is a dish that surely a lot of people will enjoy. 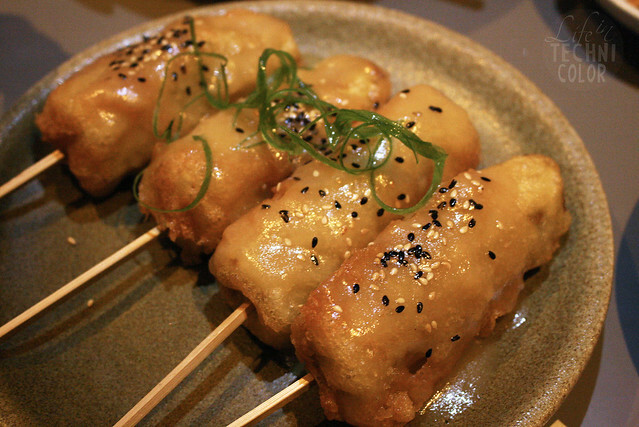 They incorporated Stella Artois in the batter then topped it with miso dressing and some sesame seeds. The result is a crunchy outer layer with a warm eggplant center. 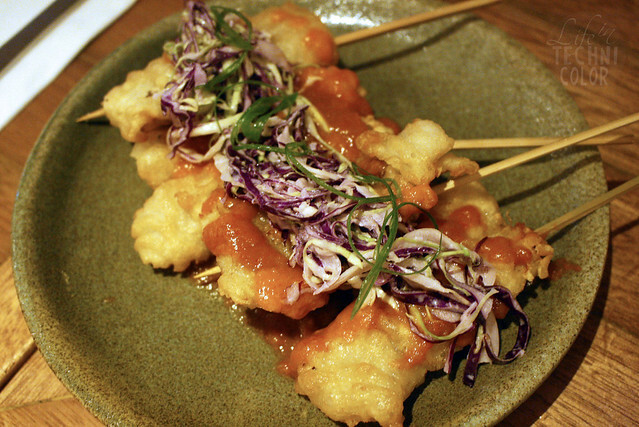 Another Stella-battered dish is the Fish Skewers. 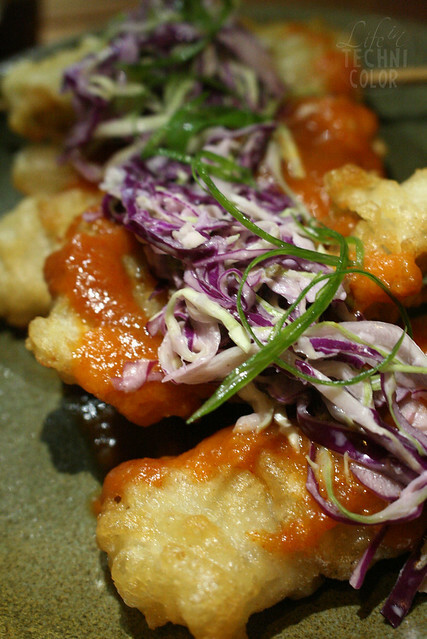 After frying, the Alaskan Pollock is topped with some pineapple-gochujang and slaw. 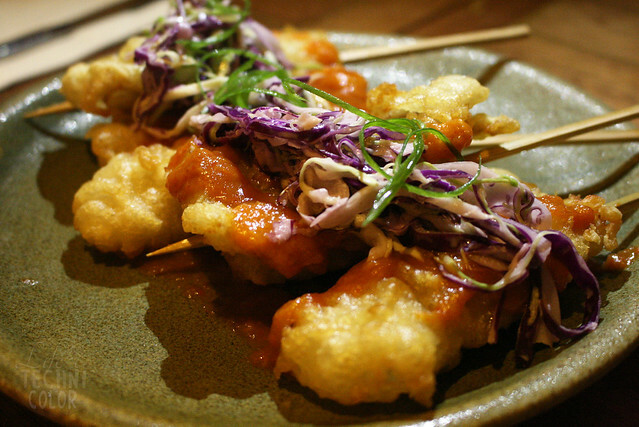 Gochujang is actually Korean red chili paste, so expect this skewer to be slightly spicy. I like that the dishes Chef Iñigo created aren't focused on just one place, but he actually took inspirations from different parts of Asia. 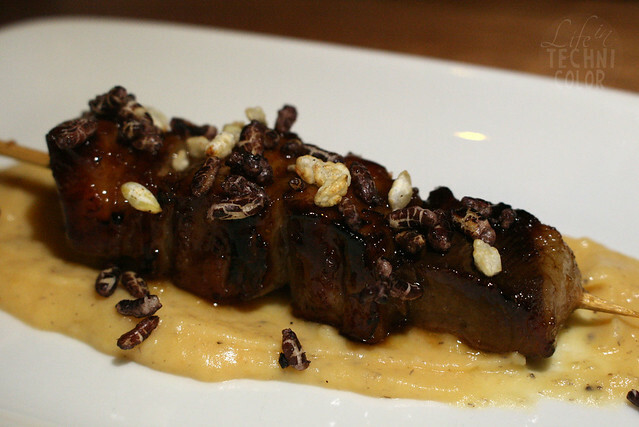 Their soy-glazed U.S. beef belly on a stick is already delicious on its own, but they added some plantain mash and crispy rice to it to give it more personality. 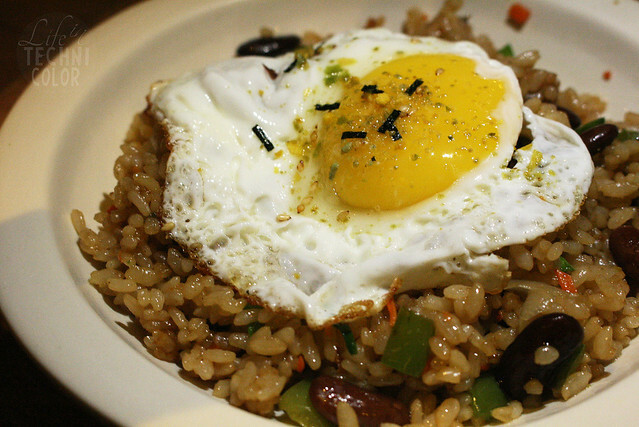 Who doesn't love Japanese rice? 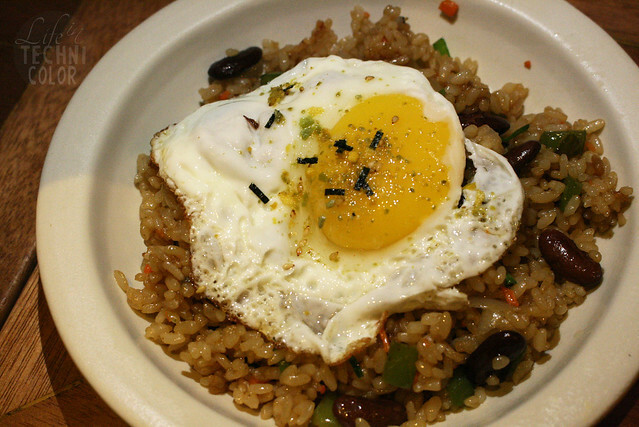 This is their take on it, with a mix of kidney beans, aromatics, and fried egg! You can either eat it on its own or as a side to any of their skewers. I do recommend mixing the egg with the rice rather than eating them separately. It gives the rice more flavor that way. 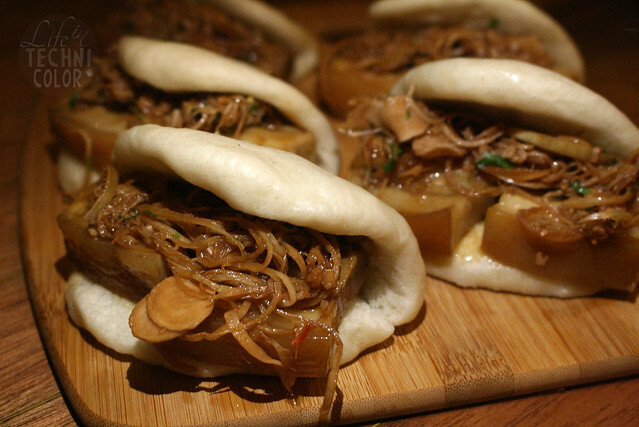 These buns were definitely the highlight of my night! 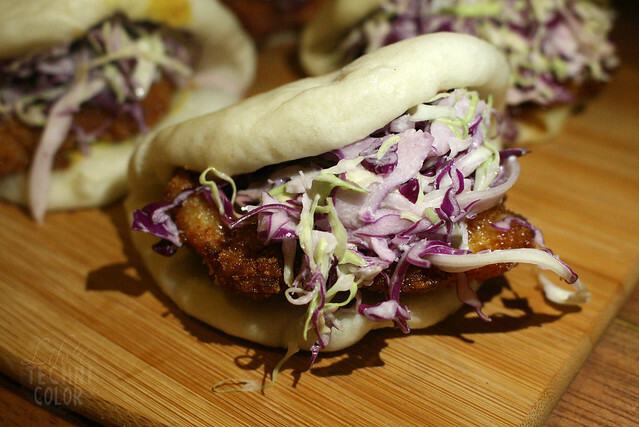 Both the Kakuni Bun and Katsu Bun stood out in its own way. 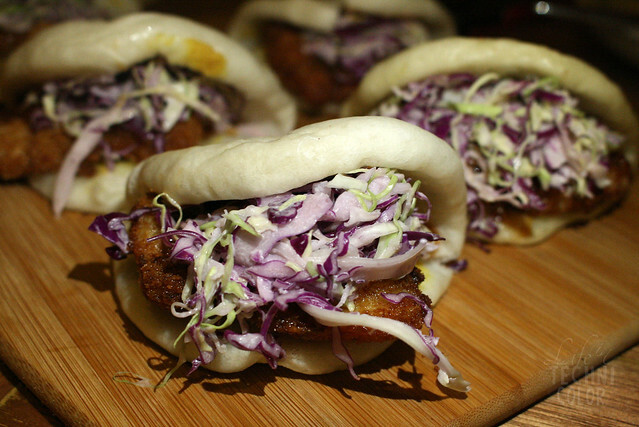 The Kakuni Bun is made up of braised pork belly and banana blossom, while the Katsu Bun consists of chicken cutlet, sosu, hot mustard, and slaw. Since we started the night with drinks, it was only proper to end it with drinks as well! 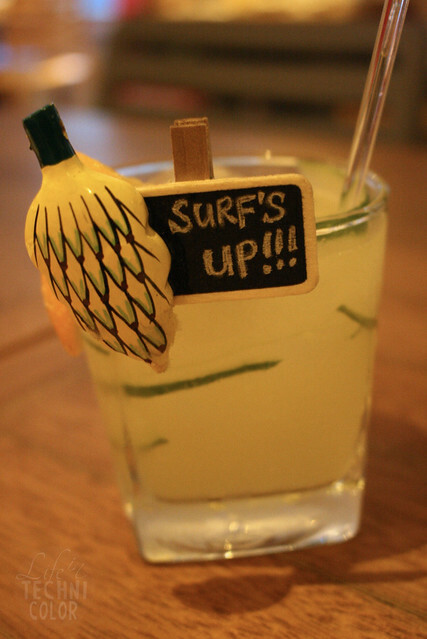 Their Matcha Lemon Fizz is made with Don Papa Rum with Giffard vanilla and matcha green tea. Most people seem to have enjoyed it, but I personally would have loved it if it had more of the matcha flavors in there. So it turns out, I'm not a huge fan of drinks with coconut in them. 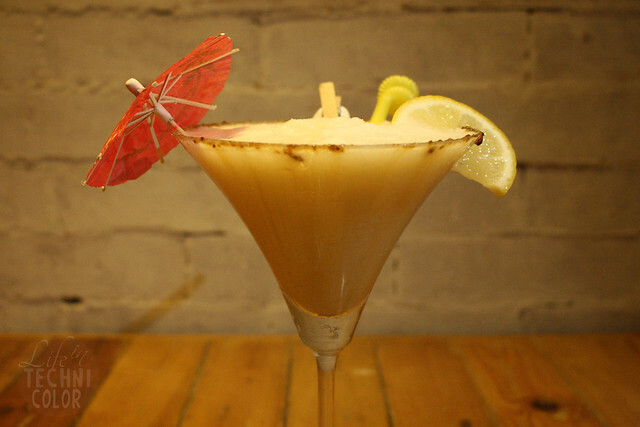 This Kooky Coconut Margarita is their kooky take on the blended margarita with 1800 tequila, coco jam, coconut milk and triple sec. Hmm, I'm not sure how I feel about this one. 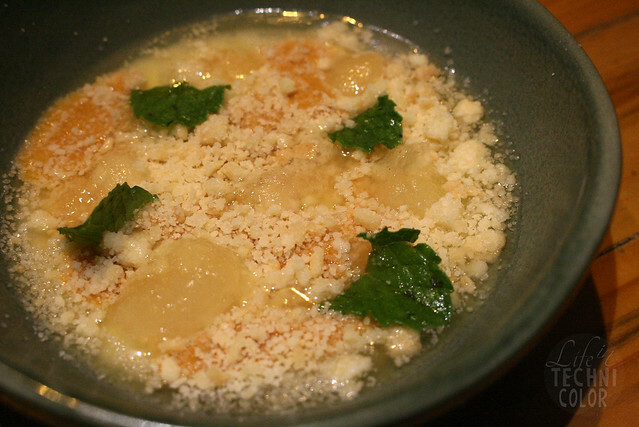 As if the Coconut and Miso Pudding wasn't strange enough, they mixed it with saltwater streusel, caramel and citrus granita, so there's a mix of sour, sweet, and salty elements in it. My friends and I couldn't stop analyzing its flavor until the very end. 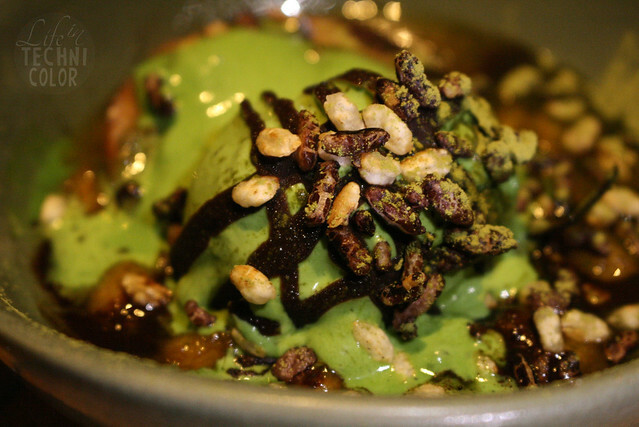 Papa Loa has a revolving menu, so it should be fun to visit them again next time and try out the new offerings! 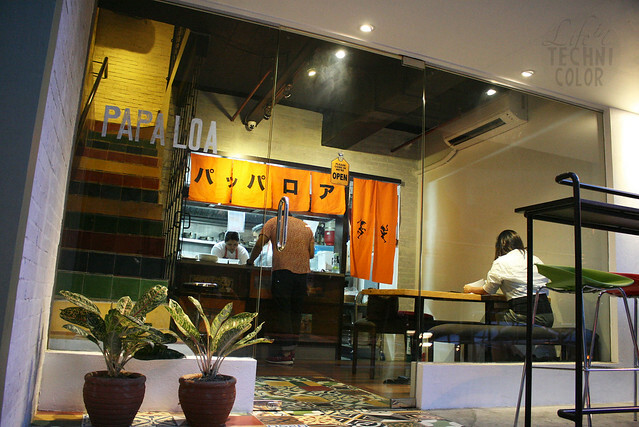 Papa Loa is located at Unit 109 Forbeswood Heights, Rizal Drive, Bonifacio Global City.